Congratulations on reading CoachLikeapro.com and taking an important step in maximizing your team’s potential for success on the basketball court. Your effort and dedication as a coach, combined with the information in this article, will help you implement a sound and productive year-round training program to help keep your players on the court and injury free. Tracy McGrady receiving pregame treatment. The importance of strength, power, conditioning, and flexibility is quite evident in the sport of basketball. The days of just playing pick-up at the gym are over. If you really want your players to play the best they can, you must encourage them to do things outside of just playing basketball to improve their game; it is important that they participate in a truly comprehensive year round training program in order to reduce the occurrence of injury. As such, your players need to warm-up properly for all workouts and practices as well as perform strength training and pre-hab exercises on a year round basis. The central purpose of a year round training program is to decrease the occasion for injury. Basketball is very demanding physically. Making the muscles, ligaments, and tendons of the body stronger will lessen the chance and/or severity of an injury (such as a pulled groin or rolled ankle), and keep your players on the court. The goal of this article is to share the details of a safe, efficient, and productive year- round training program. Prior to beginning any workout, practice or game, it is important that your team goes through a proper warm-up. If you jump right into a high intensity activity - like strength training or basketball practice - without warming up, you may increase the chance of injury to your players. Please don’t confuse warming up with stretching, as they are two completely separate activities. A warm-up should consist of low intensity movements that involve most of the muscles in the lower body. Some examples include jogging or jumping rope. The goal of the warm-up is to raise the body’s core temperature 1-2 degrees in order to increase blood flow to the muscles and loosen up the joints. This will help prepare the body and mind for the workout to follow. A thorough warm-up should last 5-8 minutes and result in a light sweat. During the warm-up it is important to have your players go through the main movement patterns used in basketball: light sprinting, back pedaling, defensive sliding, and jumping. This can be accomplished by performing a variety of basketball specific drills at 50% of their normal intensity. This will ensure the muscles of the hips, groin, and ankles are sufficiently warmed up. If you do not have access to a court for your warm-up, a series of stationary movements such as line jumps and quick feet will suffice. Your team should be 100% ready to play when they take the floor for their pre-game or pre-practice routine. Dynamic flexibility is more effective, focused, and productive than the outdated “sit and strength routines.” The concept of dynamic flexibility is certainly not new, as track and field coaches have used it for decades. A comprehensive dynamic warm-up does not take any more time than would the more traditional method of stretching. Since your warm-up sets the tone for the entire workout, practice, or game, it is important to implement something that is effective, focused, and productive. Once your team has completed a thorough warm-up, it is time to move to the next phase of preparation and begin with some dynamic flexibility movements. Dynamic flexibility exercises are ones that increase the range of motion in a joint or series of joints while continuously moving. There are several benefits to performing dynamic movements. First, by continuing to move, you ensure the body and muscles stay warm throughout this process. Many players will lose the 2-3 degree increase in core temperature by sitting and stretching for 10-15 minutes. Dynamic flexibility, when performed appropriately, prepares the muscles and joints in a more specific manner than static stretching. Given that the workout, practice, or game is going to consist of dynamic movements  it is important to prepare the body in a similar manner. I am by no means advocating anything dangerous or inappropriately ballistic (such as severe bouncing and/or jerking); I simply believe that by performing safe and conservative dynamic flexibility movements, you will better prepare the mind and body for the workout that is to follow and reduce the occurrence of injury. Re-hab, or rehabilitation, is a series of exercises done after a player is injured, and in an effort to get them back in playing condition. Therefore, pre-hab, is a term coined to describe a series of exercises done before a player may be injured, and as a proactive means to reduce the risk and overall severity of an injury by strengthening specific muscle groups and joints. The ankle is the single most injured area for basketball players. Ankle sprains can happen from activities such as landing on another player’s foot or having it roll over during a sharp cut. A severe ankle sprain can debilitate a player for several months if it is serious enough, and losing one of your top players mid-year can be the difference between a .500 season and making a run at a championship! Having your players perform some additional stability exercises for their ankles (see pictures below) can help strengthen the tendons and ligaments of the foot and ankle, as well as drastically reduce the severity of an ankle sprain. Pre-hab can also be done for other injury prone areas such as the groin, hamstrings, low back, and fingers. As demonstrated below, keeping the entire foot on the board/ball/disc, simply balance on one leg thus causing the tendons and ligaments to stabilize the foot and ankle, and balance the entire body. Hold for 15-30 seconds and repeat with the other ankle. If you do not have access to this equipment, the same thing can be accomplished standing on top of a folded bedroom pillow. Another preventative measure against ankle sprains is the use of tape and/or braces. It is recommended that players get their ankles taped or wear ankle braces any time they are going live (practice and games; including AAU and summer league camps and events). The risk of an ankle sprain during practice and a game is much higher. You may want to make ankle braces or tape mandatory for your team, as it has been my experience that most players will choose not to wear them because they believe it restricts their movement. Please note that It is not recommended for players to get taped or wear braces during strength, conditioning, or running workouts, as that is the right time for them to strengthen their ankles (with the exception of a player who has a pre-existing ankle injury). However, it is recommended that they wear appropriate footwear and tie their shoes fairly tight. Safety, time efficiency, and intensity should be the backbone of your year round basketball strength training program. Your main focus should be to improve each player’s overall muscular size and strength. By making the tendons, ligaments, and muscles of their body stronger, you will decrease their likelihood for sustaining an injury. Your players are not Olympic lifters or bodybuilders, and therefore shouldn’t train that way. Rather, you should have them train their major muscle groups and specifically address their most injury prone areas: ankles, knees, groin, lower back, and hands. Your goal as a coach should be to minimize risk within the training atmosphere. You should only use the safest exercises available, and do your best to make sure that all workouts are properly supervised. Players should always perfect exercise technique and form prior to utilizing additional resistance or weight. Additionally, players should perform every movement in a slow, controlled, and deliberate fashion, with special emphasis focused on the lower portion of each lift. Lastly, your players should work within an appropriate repetition range (8-15 reps for most high school and college athletes) and avoid maxing out (seeing how much weight can be lifted in one repetition), as these practices can be very dangerous. Other than simple genetics, intensity is the most important factor in determining the results for your players. Below a certain level of intensity, strength training will have very little benefit. I choose to define intensity as the level of effort exerted by the individual being trained. If a player is capable of lifting 100 pounds 15 times and they stop at 10, the exercise was clearly not as intense as it potentially could have been for that individual. Therefore, it is recommended that each set is taken to the point of momentary muscular fatigue - that is, the point at which no additional reps can be completed. It is of equal importance to make sure that there is constant progression. Your players should consistently attempt to lift more weight and/or do more reps with each workout. If a player can lift 100 pounds 15 times one day, yet they are still lifting the same 100 pounds 15 times three months later, then they clearly haven’t become any stronger. It is important to note your strength training program should be implemented on a year round basis (train in and out of season). Strength is an attribute that can be diminished in 3-4 weeks if not done consistently. Your team needs to strength train throughout the year in order to maintain their maximum level of strength and reduce the potential for injury. In addition to strength training, your team should participate in a comprehensive year round basketball conditioning program too. It is important acclimate the body’s muscles and joint structures by practicing the specific motions used in basketball. If a conditioning program only incorporates straight sprinting (a typical track workout), you will not sufficiently prepare the hip, groin, and ankle areas - all of which are high-risk areas for basketball players. One of the most overlooked aspects of injury prevention is rest. Many coaches drive their players into the ground with the “more is better” philosophy. Your program should have built in days off each week and a few planned weeks off each year (it is especially important to give your players a few weeks off immediately following the end of the season prior to beginning their off season workouts). If you notice your players are dragging, give them a surprise day off. The rest will make them more productive and less likely to get injured during an actual workout. If basketball plyometric exercises are appropriately picked and supervised, than they can be a safe and productive supplemental training tool. However, the game of basketball itself is already very plyometric in nature, so adding a large volume of additional plyometric exercises can be counterproductive and produce overuse injuries including orthopedic trauma to the joints, tendons, ligaments, and bones that occur from too much impact. Unlike many other sports, today’s basketball players play year round with no real off-season. It has been estimated that the average player will perform between 450 and 500 full speed jumps per week. As such, what will an additional 50 jumps from a plyometric program do? While plyometric exercises  commonly referred to as ‘Plyo’s’ - can be implemented carefully into a program as a way to help players with their body-awareness and confidence in performing certain movements, it is imperative to pick only the safest exercises and use as soft of a surface as possible to reduce the orthopedic stress placed on the body during such exercises. It is not necessarily the jumping that could potentially cause a problem, but rather the landing. Be very cautious when having players jump off of boxes and/or performing weighted jumps. In summary, your success has a program can be dependent upon keeping your players injury free. In order to reduce the occurrence of injury in your program, you should have your players participate in a comprehensive year round training program. This includes having them warm-up (dynamic flexibility) before every workout, perform strength training and pre-hab exercises, limit the overuse of plyometrics, have them wear tape or braces when they go live, and give them ample rest to recover. Note: Alan Stein is the co-owner of Elite Athlete Training Systems, Inc. and the Head Strength & Conditioning coach for the nationally renowned Montrose Christian Mustangs boy’s basketball program. 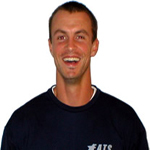 Alan brings a wealth of valuable experience to his training arsenal after years of extensive work with elite high school, college, and NBA players.